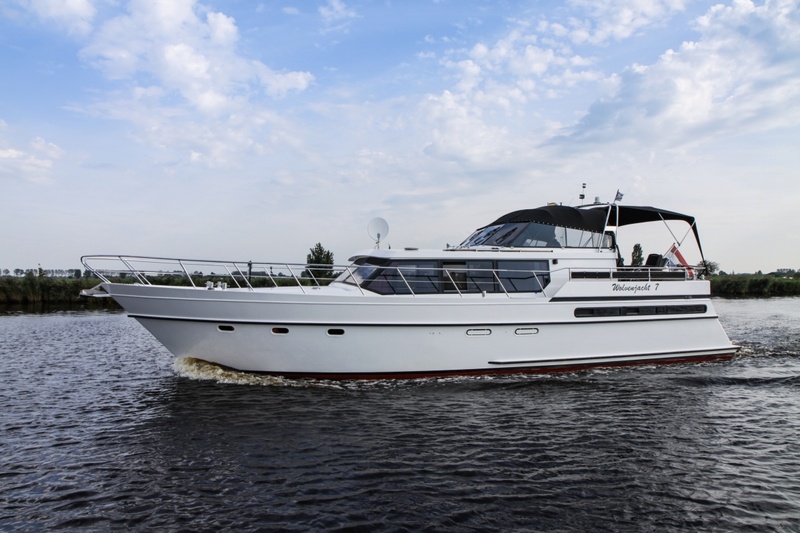 The Wolvenjacht 7 is without a doubt a ship for a larger group, ideal for several couples or two families. It can accommodate up to ten people, in its five bedrooms and yet leaving plenty of space and comfort in the common areas. Have you already got ten people in mind to holiday with? 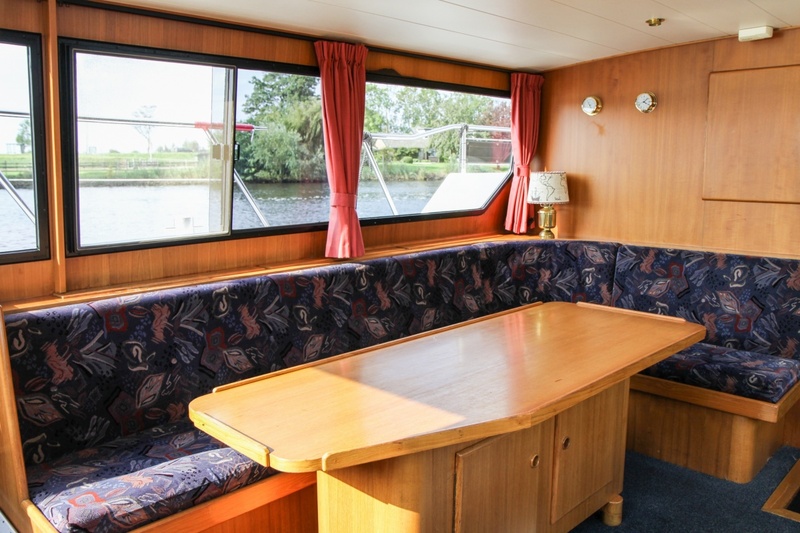 This ship easily accommodates ten people, as there are five bedrooms, four with a double bed and one with a bunk bed. In the bow there is a spacious shower and toilet room with two bedrooms. 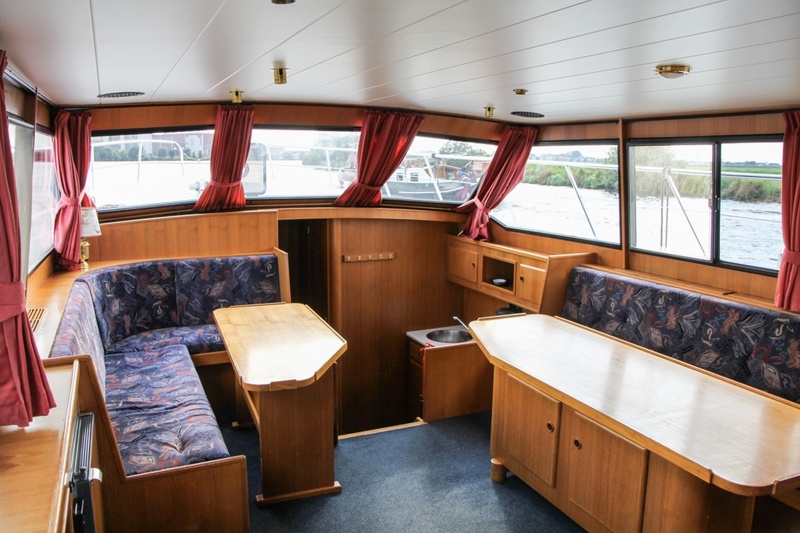 In the stern there is also a spacious shower and a separate toilet for the other three bedrooms. There is also a large extra closet in the hallway. In the salon there are two sitting areas diagonally opposite each other. The kitchen is located two steps down on the starboard side. 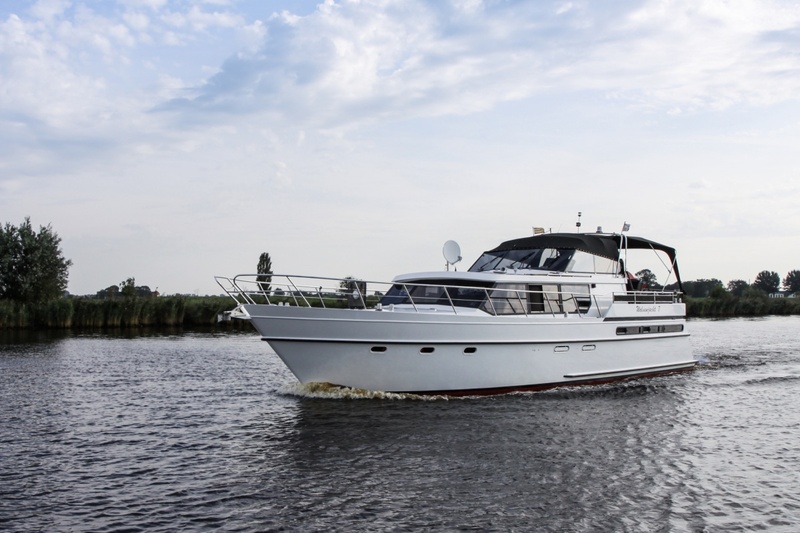 The very generous deck, where the steering position is located, offers plenty of space for all passengers to enjoy quality time together. The ship has double glazing and central heating, which also provides the hot water. There is 220 volts on board for the coffee maker, satellite TV and radio/CD system. The batteries can be recharged via the shore power connection. 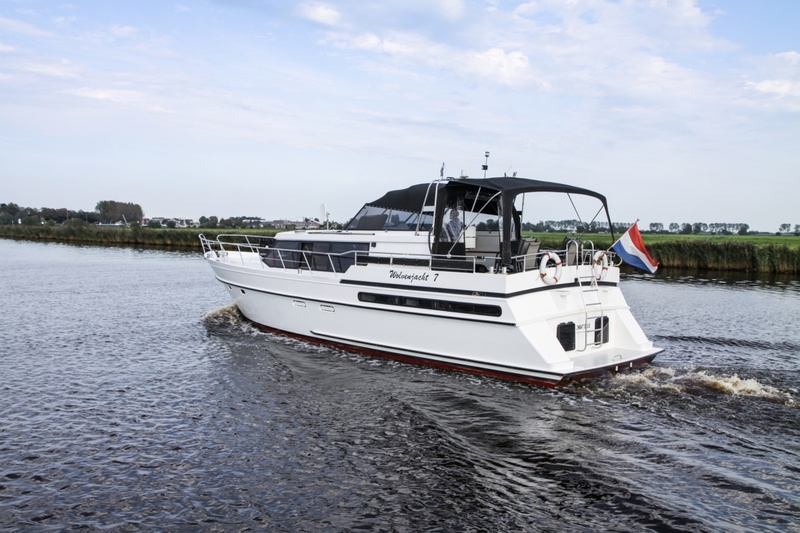 The Wolvenjacht 7 has two large refrigerators, so a cool drink is guaranteed. On the deck you can choose shade or sun, because both the convertible top and canvas are removable. 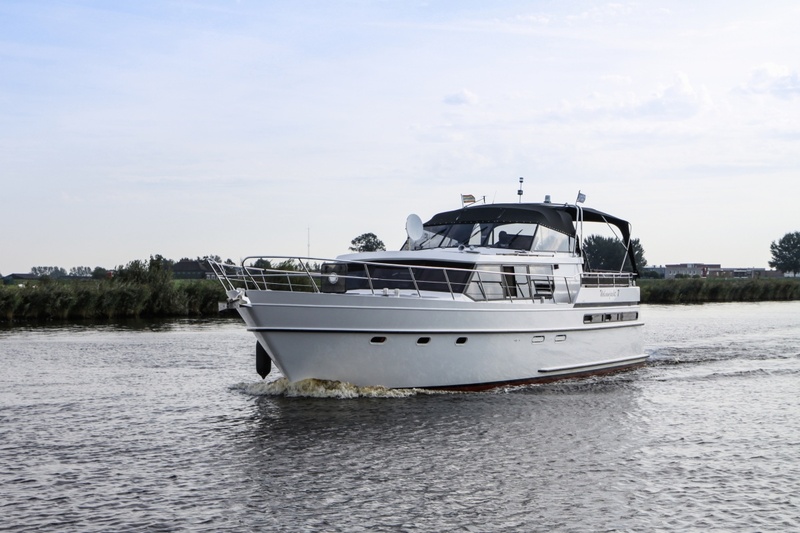 Another positive: although Wolvenjacht 7 is one of our biggest yachts, you do not need a sailing permit to navigate this ship. 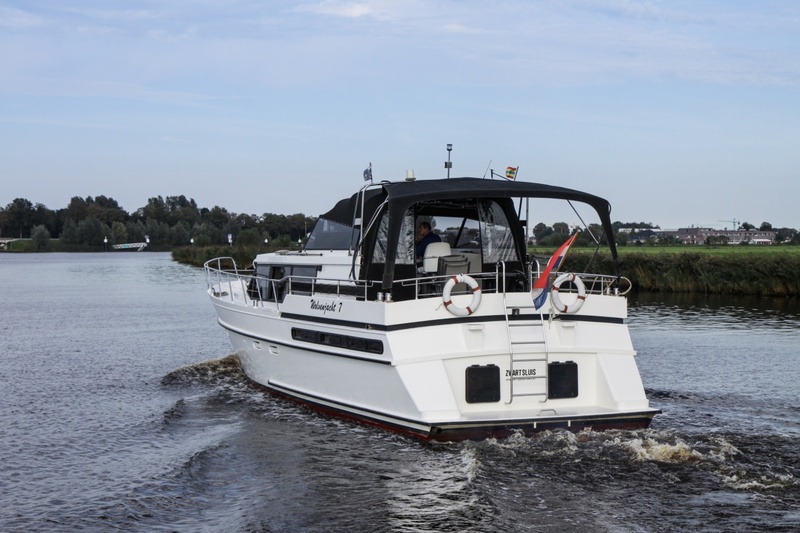 The Wolvenjacht 7 can be rented from Saturday to Friday, where you can board the ship from 6 pm on the Friday and leave the harbour on Saturday from 9 am. The next Friday you have to return the ship before 1 pm.